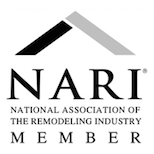 Done Right Remodeling, Inc. is supportive of the following charities. The Foundation was started in 2004 by Mitchel Shapiro. Mitch is afflicted with Usher syndrome, the leading cause of deaf-bliness. Mitch knows firsthand the needs of the hearing and vision challenged community and volunteers his time and resources with no personal financial gain. The Foundation’s lead programs are Help America Hear wich provides new state of the art hearing aids on a nationwide basis to individuals with limited financial resources. Our Scholarship program provides blind, vision challenged and hard of hearing High School Seniors going to college with a financial and product award. The scholarship is available in three geographic areas, Nationwide, Metro NY & Long Island. One award to each category . Each year, thousands of people participate in American Diabetes Association events and fundraisers to increase awareness of diabetes and raise needed funds. In addition to promoting these events, the Association provides information through community-based programs to empower people to manage their disease so they can prevent the onset of complications. Operation Smile, headquartered in Norfolk, Virginia, was founded in 1982 by Dr. William P. Magee Jr., a plastic surgeon, and his wife, Kathleen S. Magee, a nurse and clinical social worker. For $240 Operation Smile can change a child’s life by giving the gift of a surgery. Revenue in excess of surgical costs are invested into our sustainability programs, empowering our partner countries to treat more children on their own and making your investment go even farther. The complete Operation Smile model is an investment of $750 per child. Memorial Sloan-Kettering Cancer Center treats more breast cancer patients than any other cancer center in the nation. Scientists now report that delaying disabling symptoms and preventing Alzheimer’s may be feasible in the next ten years. They are committed to find the right intervention now before the baby boomer generation enters the high risk years putting, putting millions more-and our entire healthcare system in jeopardy.